This side of the pond, the sun is beaming spring happiness onto our hooks! It’s time to crochet in pastels and cottons – why not make yourself something gorgeous to wear for spring? This fabulous cardi is perfect to pop on over your favourite dress, or just with a t-shirt and jeans! Designed by the super talented Joanne Scrace, the pattern offers seven sizes, from XS to 3XL, and is constructed in one piece! Crocheted in 4ply yarn, you will need between 1600 and 2400m of yarn – for a super special treat, try Lana Grossa 365 Cashmere, which is a chainette 4ply made from cotton and cashmere! Perfect for warm weather! For every day, Rowan Summerlite 4ply is a gorgeously cool cotton that comes in 16 perfect solid shades. You’ll need a new gorgeous tote bag for this spring weather! Crochet the Summer Meadow Tote Bag in aran or chunky weight cotton – we love Rico Creative Cotton Aran, which comes in a whopping 37 shades! You will need approximately 600m of yarn, and the pattern is written in clear steps with photo tutorial too! We LOVE Kraftling’s designs – and this top is absolutely divine – perfect for spring with a long sleeved tee underneath, or a vest! Crochet in either DK weight or aran, you’ll need 8mm and size 6mm crochet hooks and 2/3/3/4/5 balls of worsted weight or DK yarn (one ball extra per size if making the dress version of the pattern). Pattern covers sizes of XS/S/M/L/XL in DK weight yarn, or S/M/L/XL/XXL in worsted weight yarn. A perfect yarn for this fab top would be Classic Elite Yarns Soft Linen, which is a blend of linen, wool and baby alpaca! It comes in over 20 gorgeous shades – it’ll be very difficult to choose just one! This is a perfect spring into summer sweater! It has a fun construction – bottom up, with yoke and sleeves worked separately. 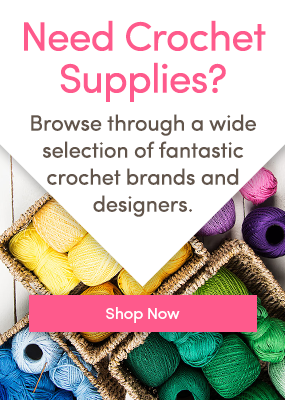 Crochet in cotton, or a cotton blend – Bergere de France Sonora is a cotton and acrylic combination that washes beautifully and has great stitch definition for that lace pattern! It comes in a range of pastels that are perfect for spring! What’s on your hook for spring? International Women’s Day: Patterns for Women for Women International 6 amazing spring and summer shawls! Shawls for Spring! Swishy Crochet Sweaters for Spring! One Response to Spring patterns for women! Do you have a pattern to crochet the shoulder bag? If so, would you let me have a copy of the pattern? I love that pattern.